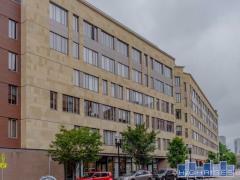 The Sleeper Street Lofts, also known as the Dockside Place Lofts, are nestled in the emerging Seaport District of Boston, and offer easy access to the T, Pike Expressway, Silverline, Airport and the Financial District. Enjoy large, open floor plans at Sleeper Street Lofts with great city views. Have any comments or questions about Sleeper Street Lofts? Ask your question and/or share your thoughts about this Building.